Now in its seventh year, the Transport Ticketing & Passenger Information Expo draws an international crowd to hear the latest developments and ideas in the world of public transport ticketing. It features speakers from various worldwide companies who are working on the latest products and innovations in fare collection, as well as the operators using this cutting edge technology, not to mention PTAs and other organisations involved in transport ticketing. Its Passenger Information arm also has a list of seminars and debates surrounding its subject area. This year’s Expo took place at The Lancaster Hotel in London on 27 to 29 January, with an opening remark made by Transport Minister, Baroness Kramer. 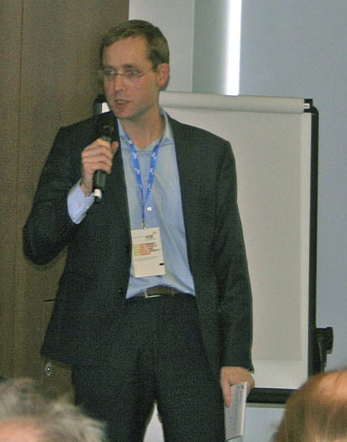 Chris Peat attended to bring some of the latest news, developments and thinking from the event. B&CB attended some of the workshops held on the Thursday. One of them was ‘Interoperable account based travelling’, which was delivered by the transaction security division of safety science company, UL. 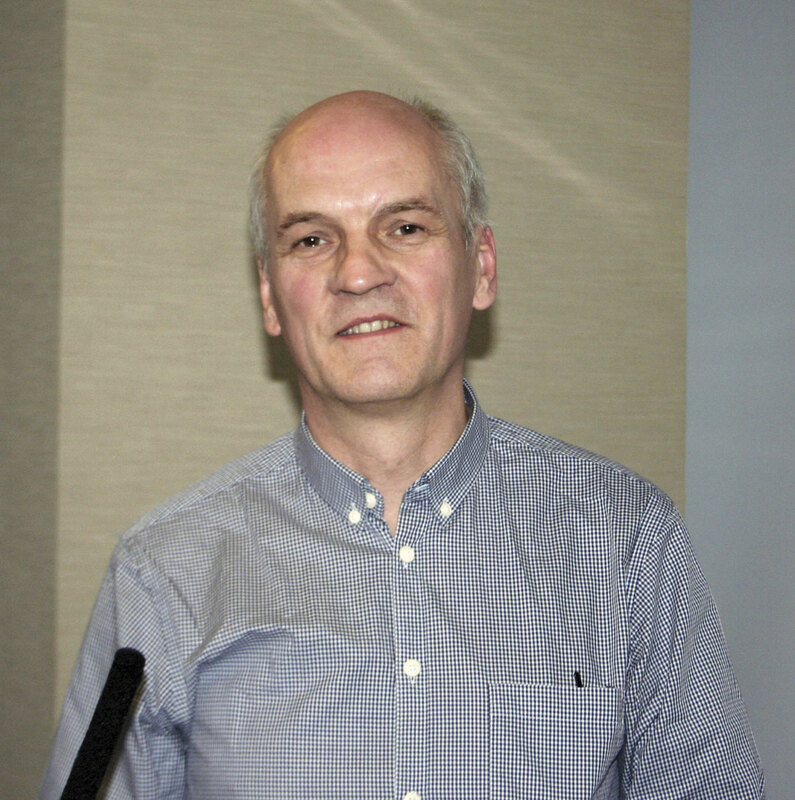 The first of two speakers in this presentation, UL Principle Consultant, Rogier Boogaard, said that the current card-centric automatic fare collection (AFC) smart ticketing schemes are working fine, but believes there are ways they can be improved. One of the disadvantages is that the operator needs to issue the travel cards, which comes at a cost. Ways current systems could be improved, according to Rogier, include enabling faster changes or additions to fares, real time insight into travel transactions, the ability to pay for travel after the actual trip and easy integration of customer loyalty and additional services. Introducing an account based system, rather than a card one, would enable these, he said. He claims an account based system would lead to reduced costs for the operator and would make it easier to change configuration data, enabling faster implementation of fare structure changes. There would be no need to update software on gate systems for fare calculation either. It would also facilitate the easy acceptance of other devices, including mobile phones for use in ticketing, as well as the acceptance of other card types. Mobile ticketing can be integrated into the network with or without the use of Near Field Communication (NFC), a technology that allows devices to communicate with each other when brought into close proximity. Without this, phones can be used as an interface, just displaying the image; with it, they can emulate a travelcard. For customers, the advantages of an account based fare system, according to UL, include no need for deposits, no requirement to buy a right of travel prior to travelling and the ability to resolve missing check-in/check-out problems easier. It would also mean post-travel payments would be easier to introduce. 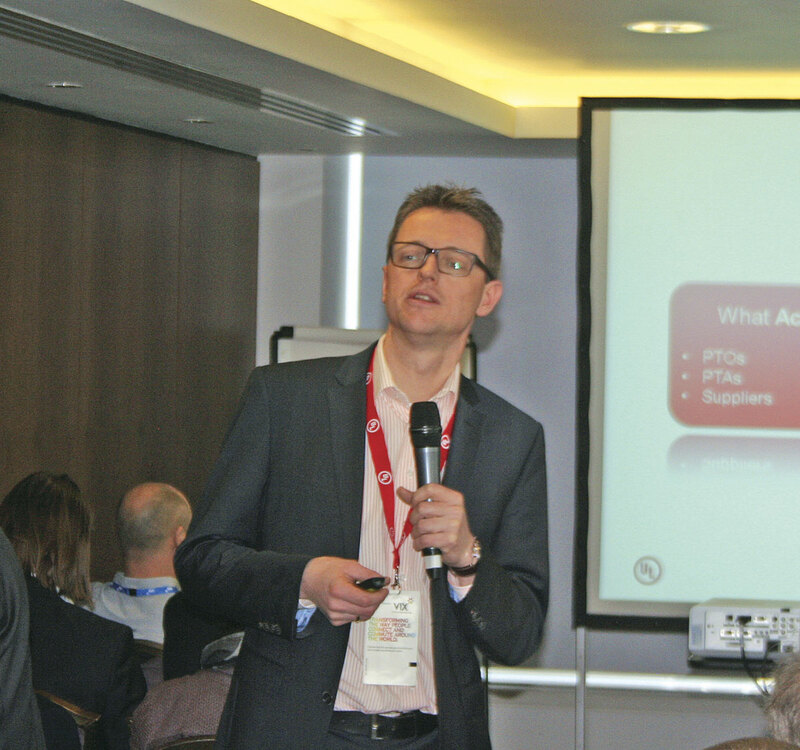 Following Rogier was Bas van Os, CEO of the Open Ticketing Institute, an organisation that has worked with UL. A purpose of Bas’s organisation is to enable the sharing of information and experiences of ticketing programmes. One of the driving factors of the business case for implementing account based systems is to remove the need to buy a card and put money on it. Bas said account based ticketing (ABT) should not be seen as a way to reduce costs, as it requires the addition of new systems to implement it. He believed it should be looked at as a better way of travelling for the passenger rather than just a better ticketing method. ABT moves from the current card centric smart ticketing, where data on the fare medium (card, ticket, etc) is leading whilst the back office follows, to a system where the back office is leading and the card becomes just an identifier. ABT allows the customer to pay in whatever way they prefer, including post travel payment, according to Bas. To facilitate this and ensure the system is not abused, travel can be suspended if the balance has not been paid. Once paid, the passenger can begin using the transport again. Its key value is it develops a relationship with the passenger. This is important because ‘we want to be people-centric, not card-centric’. Bas said his organisation has discovered from talking to passengers that they like the ability to view their account on their phone. 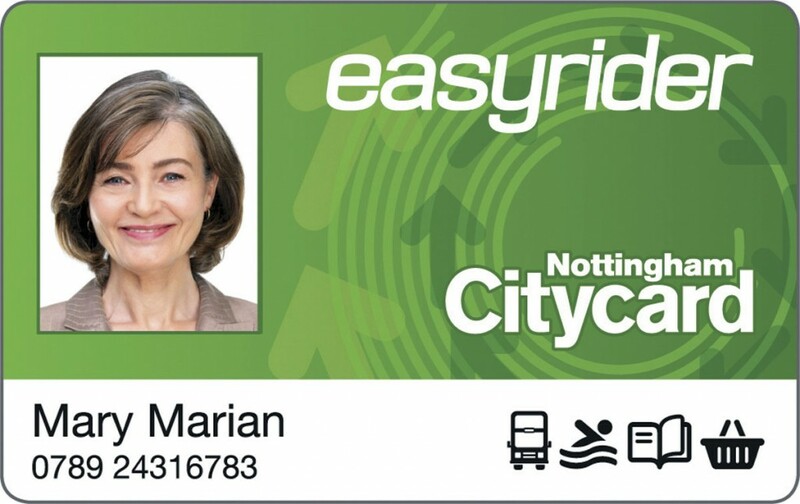 One of the reasons is that they can ensure no one else is using their travel card if it is lost or stolen. If they do not see any transactions are being made on it, then they can tell immediately no one is using it. ABT is useful for communicating with customers too, he claims. He believes that for the first time it could open up a single channel of communication between car use and public transport. For example, if there is a problem on a motorway holding traffic up, then such a system could give an insight into the fact they are on the motorway and offer them free public transport travel on that day. An attractive idea, according to Bas, is the ability for passengers to use their account to travel into another region. It was thought that introducing ABT would assist such interoperability, but he has found that different organisations are ‘still talking’ about this. A framework of trust is needed before this goes live, to ensure the parties from cross-border regions accept a common governance structure, risk management and payment processing system. It would certainly be of benefit to passengers though, according to Bas. If different countries used the same account system, then each nation’s fares structure could be interfaced in each individual passenger’s own language, meaning they do not have to familiarise themselves with other traveller’s apps and interfaces. ABT’s potential goes beyond travel, according to Bas, who believes transport is not an isolated phenomenon; it is ‘part of a changing environment’ and such a system must be robust to face upcoming developments. He sees the system becoming a multifunctional platform, not just for transport. Privacy will become a primary concern with it though, he claims, with parliaments wanting data collected to be separated from the individuals it is collected from. In the US, there is the National Strategy for Trusted Identities in Cyberspace (NSTIC), an organisation Bas believes could be extended from the world wide web to the emerging ‘internet of things’, the connection of uniquely identifiable computing devices, that ABT could become a part of. One interesting comment made by a delegate concerning ABT was that if bank cards and smartphones are required for passengers to take advantage of it, what about those without either? These people do exist, the delegate claims, and they are not as small a group as many might think. Ticketing Systems Manager at Translink, William McGookin, who I spoke to later on at the event concurred with this comment. Bas replied by saying that the introduction of ABT is not something that will happen over night, ‘we may be stuck with paper tickets for some time’. 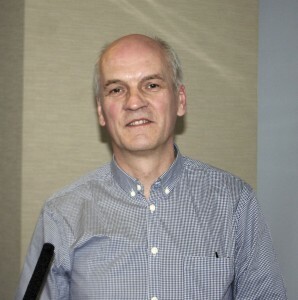 Perhaps one of the most relevant presentations was from Mark Fowles, Nottingham City Transport (NCT) MD. Mark’s presentation was called ‘Developing a smart communications strategy to accompany your smart ticketing programme’. He started by outlining NCT’s smartcard system, which first came into being in 1996. This early incarnation was a contact card and even though it was ‘ahead of its time’, it took longer to process than a cash fare. Contactless technology came online in 2000 and the company has not looked back. Mark said that if the company was to go back to only accepting cash, then it would need to grow its fleet by 10% as a result to deal with the higher frequency it has been able to implement. In the present day, NCT’s current interaction time with the driver when the passenger uses a smartcard is ‘less than a second’. Its transaction time with the driver when making a cash payment is 2.8 seconds. It can load a 90-seater in just two minutes. Now, almost 75% of journeys are made using one of the company’s many contactless smartcards. He went on to say that during the worst of the disruption caused by the construction of the Nottingham tram extension, if NCT had not had the information gathered by its smartcard, then he claimed it would not have been able to provide details to those who utilise the affected services. Such information can be used internally too, to manage changes to the organisation. 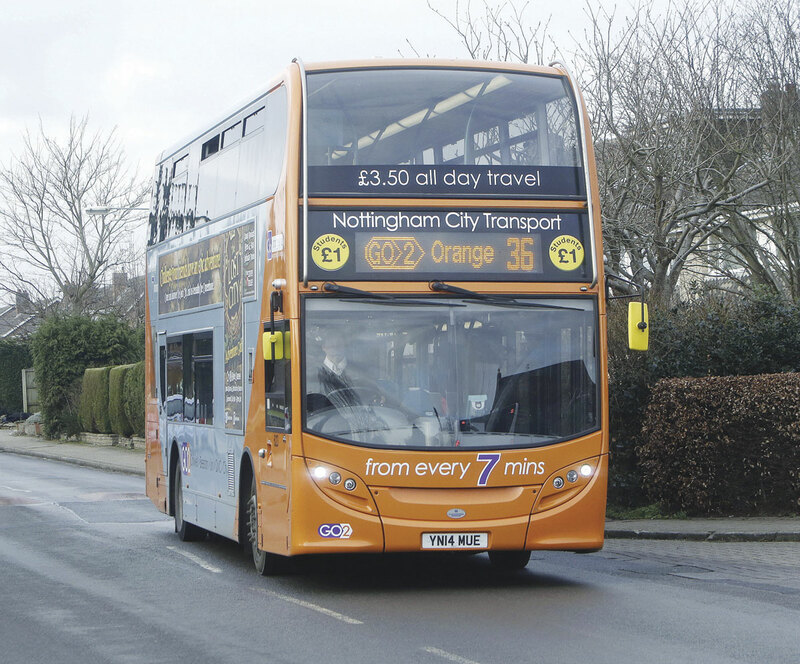 – Mark Fowles, Nottingham City Transport MD. Mark then went on to deliver an anecdote to emphasise the importance of communicating effectively with passengers. He explained his first seven years of working in Nottingham’s transport network had been spent developing the tram system, with little involvement with buses. When he was positioned to focus entirely on buses, the first thing he did was to experience the network first hand, ‘…and my first experience was not good’. One of the troubles was timetable adherence, particularly at peak times. He noted there was one service he sampled that was advertised to arrive at 17.20, but actually rolled up at 17.26. However, fellow waiting passengers told him it always arrived at 17.26, with even the driver saying it always ran six minutes late. When this was rectified for it to get to the stop on the advertised time, passengers ended up missing the bus. Adherence to timetables is now 98%, which he says is a direct result of using the information available to the company. There was an array of presentations over the three days, but time restraints meant we could only cover some of them. Zehra Chudry, Content Manager at Clarion Events, the organisers of Transport Ticketing 2015, said one of the overall messages of the seminars was that the ‘future of ticketing is one of no tickets’, with digital equivalents expected to replace paper versions in time to come. She also referred to discussion on the political debates surrounding this, including issues of privacy. TfL’s Head of Transformation Delivery, Mike Tuckett, highlighted the realities of launching a contactless payment scheme across the authority’s network, which Zehra said drew a lot of interest. The capital’s transport board is seen as something of a benchmark in the global ticketing arena. As well as the seminars and workshops, there were a number of exhibitors. One of them was Vix Technology, who were also one of the key sponsors of the event and its Global Ticketing Partner. Vix provided all delegates with a smartcard ticket at the exhibition, enabling delegates to ‘tap-in and ‘tap –out’ at entry validators as they moved through the exhibition and conferencing areas, and in doing so qualifying them for competitions and incentives. The feature also gave attendees first-hand experience of some of the ticketing capabilities that Vix offers. Another sponsor familiar to many readers would be Parkeon, transport ticketing system specialists. Launched at the event was DB Systel’s Smart-In solution. It provides a platform enabling flexible contactless entitlements (vouchers, tickets, hotel keys, parking, etc.). The entitlements can be stored on contactless chip cards, NFC smart phones or on any other NFC media, such as car keys. The technology can be used to provide additional passenger centric services at the seat, such as access to entertainment programs. It is designed for versatility. For instance, end users can plan their trip and store their coach ticket, car sharing voucher and access to the hotel room on one chip card or smartphone. Another use case is a field technician who receives his access rights for machines and/or physical locations together with his work order on his NFC device. With DB Smart-In it is very easy to issue or change entitlements on the fly using over the air transmission. It is based on a secure architecture with Secure Access Modules (SAM) stored in a central location. The system is able to detect, understand and work with multiple SAM types. This technology allows it to work across multiple service providers on different schemes. DB Systel is the IT branch of German transport operator Deutsche Bahn. Another recently launched product being displayed was the ATR110 combined reader for barcode and NFC/RFID from Access-IS. It is designed to satisfy the needs for fast and intuitive reading of linear and 2D barcodes on phones, tablets or paper as well as the newer demands for contactless reading of NFC enabled devices and smart cards. It is sealed against water and dust and has been designed to deliver years of frontline operation in a wide range of environments, including pole mounting on buses or desktop mounting for ticketing and gate/barrier entry. Optionally, the device will also support mobile ticketing and mobile wallet payment systems for NFC-enabled smartphones and tablets, as well as processing smartcards and contactless bank cards. Access-IS develops electronic systems specialising in image processing, RFID/NFC technology, barcode reading and specialist keyboards. ACT was another exhibitor. The company provides secure systems that enable the monetisation of complex transactions. As well as presenting one of the workshops, UL also exhibited. One of the latest developments from the company is the launch of a new test tool: the Collis MIFARE Spy. This device analyses card terminal communications based on the MIFARE technology license. Confidex were there too. The company describes itself as the world’s leading supplier of contactless fare media. 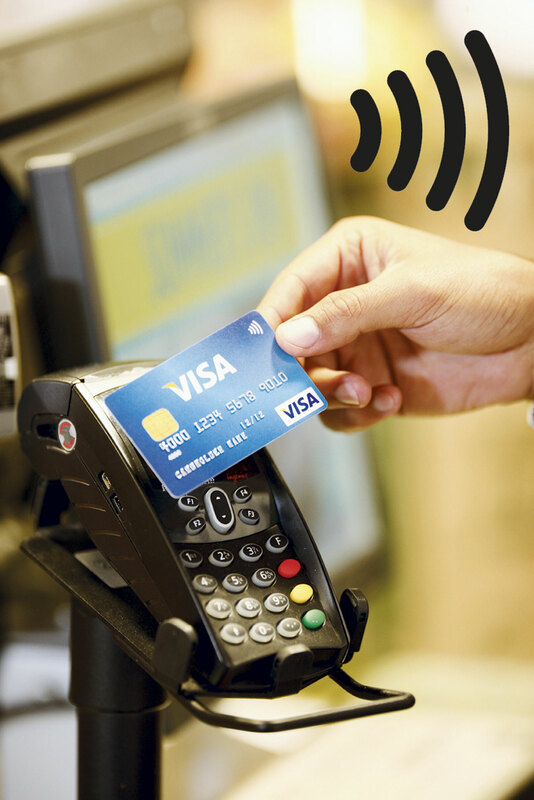 It has supplied over 250m contactless tickets to operators worldwide. Eceb’s stand focused on its smart technology for cards, terminals and back office ticketing systems. It can devise set ups that are adaptable and scalable to ensure they meet customer requirements. HopOn from Israel was promoting its mobile ticketing app. The device is downloaded onto users’ phones and all they have to do to pay for travel is walk onboard the bus. The phone is linked to a payment card or electronic wallet and the app automatically validates admission once they board. Instead of using NFC or Bluetooth, it operates using ultrasonic technology. INIT had a stand at the event. The company is the provider of NCT’s end to end back office solution, which takes care of the operator’s ticketing system, as well as its telematics, real time information and a whole range of other operational functions. Trapeze, the company that provides Arriva’s bus mobile ticketing platform, was exhibiting. The company provides software, intelligent transportation systems and mobile technologies for the transport sector. The annual Transport Ticketing event is fast cementing itself as the place to be to learn the latest ideas and developments in fare collection, as well as to share your own experiences and add to the industry’s collective knowledge of the best way to implement such systems. Zehra Chudry said the event has grown year on year. She reported that around 2,500 people from across the globe had attended on the morning of the final day, with more expected to follow before it closed. The search is already on for an even bigger venue for next year’s event.